Modern design allows the architectural details of a home to shine through. Every aspect of modern design is meticulously executed and creates a clean, sleek feel. For modern design inspiration in 2016, there are several places to turn. 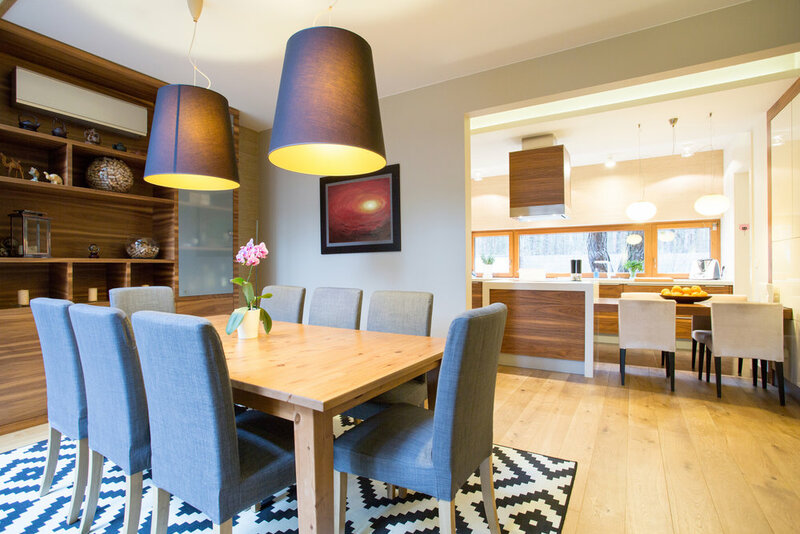 Check out these 5 trends to make modern a beautiful reality. Windows are proving to be an essential aspect of modern design. Architects are utilizing large windows in modern homes to bring the outdoors inside. These walls of windows create a seamless transition between outdoor and indoor living spaces. Unobscured views are so important when creating these living spaces that designers are making sure to use contemporary furniture that offers a low profile to preserve the view. Check out these must-see modern living rooms that incorporate the window trend in Home Designing’s recent article. Adding warm materials to cool ones is a way to add comfort to a sleek modern design. Many designers are using cool materials that give the look of concrete and pairing them with more warm elements such as the look of wood. This creates warm aspects that catch the eye while still highlighting clean lines and spacious designs. Barbara Ballinger describes this trend in the RelatorMag article Trends That’ll Influence Homes in 2016 saying warm materials are being used in softening modern severity. Color creates ambiance within a home, and when it comes to modern design, most palettes remain fairly neutral to highlight the clean lines and spacious feel. However, a trend to make modern design shine is adding pops of color throughout the interior and exterior landscape. Whether it’s a bright door, an accent wall or colorful decorative piece, color is breathing life into modern homes. Michele Lerner writes in a Washington Post article that millennials are incorporating both modern design and pops of color into current homes. Check out her article to see more unexpected places where color is being used. Depth, warmth, interest…these can all be achieved when adding textured materials to minimalist modern designs. It is a trend that takes modern to the next level and adds further interest to the architectural details on both the interior and exterior of the home. Textured materials that give the look of stone or wood allow the sharp angles of modern architecture to retain a clean feel, while adding another layer to the design. Christine Tusher gives great advice on incorporating texture in her Houzz article 10 Ways to Bring Sumptuous Texture to Modern Rooms. One element used to turn a modern home into a living space is incorporating simple patterns with geometric shapes. Designers are using these features on rugs, accent pillows, and other upholstered decorative pieces. The simple patterns blend in with the sleek landscape while also creating added detail. The geometric shapes pay homage to the clean lines found throughout the home itself and capture the essence of modern design. For more inspiration on this trend, read Trend Alert: How to Incorporate Graphic Patterns into your Home.